After threatening to boycott the 2017 world championships until they were payed a living wage, the players secured an exponential increase in their annual salary. The U.S. women's hockey team has long been a dominant force on the ice, but the team just scored a major victory outside of the rink. Last week, the national team announced plans to boycott of the 2017 world championships until USA Hockey, the governing body in charge of the sport, paid them a living wage. On Tuesday night, the team reached a last-minute agreement with USA Hockey that includes pay increase from $6,000 per player annually to $70,000, The Guardian reports. Though the men's and women's national teams were previously paid the same wage of $6,000, the men's players have enjoyed large salaries from NHL contracts, as well as significantly better travel and boarding accommodations. 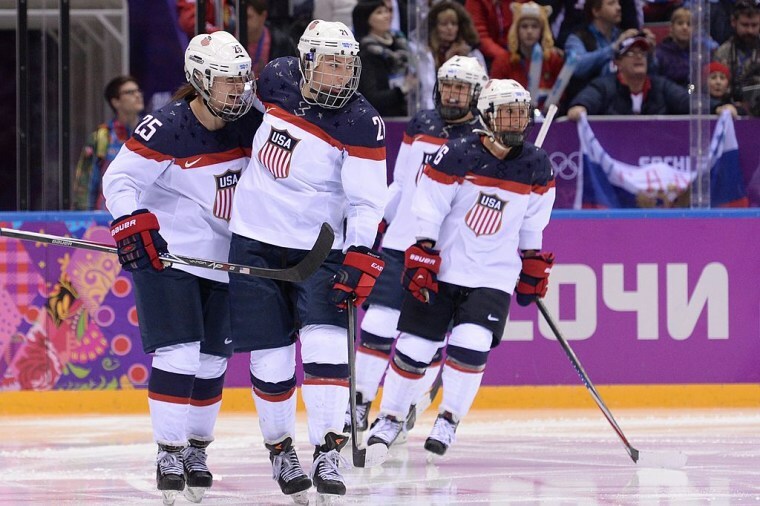 Under the new agreement, women players will also receive the same $50 a day per diem that the men receive, and USA Hockey has promised to invest in development programs for girls youth hockey players. The boycott spread on social media in the past week with the #BeBoldForChange hashtag. After the victory on Tuesday night, Meghan Duggan and other teammates shared a video message to supporters on her Twitter page. "To Our Dearest Fans, Together, WE dared to make history. And couldn't have done it without you," Duggan wrote.